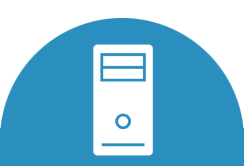 Intel Xeon dedicated servers give you the performance you need to grow your business. 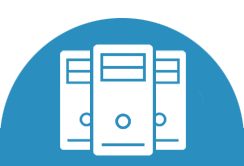 Host your servers in our premium colocation facility with peace of mind. 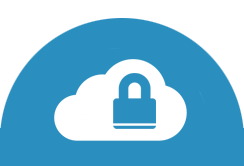 Locked-down security and designed exclusively the for your business needs. WordPress is an Open Source project that has evolved to be used as full content management system and so much more. It is the largest CMS in use on the Internet. Built on PHP and MySQL, high traffic Wordpress websites will benefit tremendously with our dedicated server implementation. One of the Internet's largest CMS platforms for e-commerce, we have honed its implementation creating customized deployments that increase performance and stability over a generic installation. An open-source alternative to Microsoft Exchange Server, a hosted Zimbra solution can provide enterprise class email, calendar and office management system at a fraction of the cost. Let us manage your enterprise email system with a customized Zimba solution. One of the world's best known issue tracking and workflow platform, this tool is essential to running your enterprise customer support system. In fact, we use it right here for our customers. We can design and implement and efficient support system for your business. This award-winning CMS is used by millions of websites for e-commerce, email marketing, customer support and more. We can design, deploy and manage the infrastructure for the most demanding and immersive Joomla site. Technology is evolving daily and that is why we keep our infrastructure on the cutting edge, allowing us to provide the best hosting services to our customers. We provide quality high-speed global connectivity buy using the best in class upstream providers. We are situated in Cologix 1050 West Pender, a premium Tier-3 data center in Vancouver, Canada. 24/7 on-site security, badge/biometric mantrap and CCTV. Contact us for a complementary tour of our data center! We are a unique server hosting company that was built by a small group of die-hard networking geeks who have a passion for technology and settle for nothing but the best. We are a relatively new company and pride ourselves on providing outstanding service and taking care of every customer like they were our only one. Like our servers, we are dedicated to helping you. No matter what, we're here to help. We have staff on hand to answer your questions, and technicians are available to help if something goes wrong.